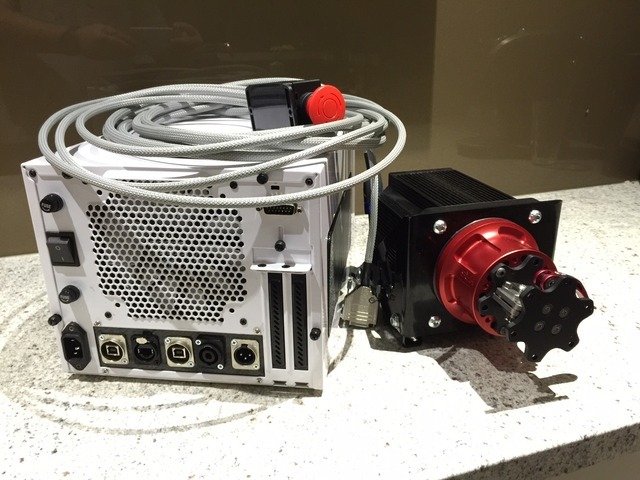 The Open Sim Wheel is a powerful direct-drive steering system for sim racing. By attaching a wheel directly to a powerful servo motor, strong and detailed force feedback can be achieved. Note: Shipping can be quite costly. eg. AUD $34.00 for one board! If you can try and round up some OSW mates from forums and group buy. If you can't wait, try to buy all your electronic gear from the same place. Will save you loads in shipping. The Aliexpress DYT-1 case fits Argon with 4 heat sinks, 24V PSU, Braking Resistor, Discovery Board, Denis adapter board and everything else quite well. Note: There is extensive drilling / hole saw required for fan, glands, switches, fuses etc. Pictures to follow shortly. This software is from Granite Devices is used to program the Argon or Ioni motor controllers. The software is used to flash the custom MMOS firmware onto the STM32F4 Discovery Board. If using Windows 8.1, you may need to run this program using Windows 7 compatibility mode. Step Drill Bit (up to 20mm) For making neat panel mount holes in the case at larger sizes Drill normally first! … Ring Terminal x6 $0.46 ea. For grounding etc. Motor power and Encoder Cables Order with motor from Mige ~$30.00 Ask for these to be supplied with connectors attached to 3m cables.